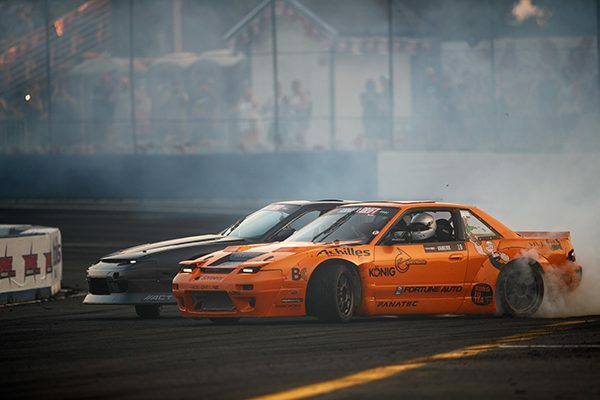 Long Beach, Calif. – August 4, 2017 – The Formula DRIFT PRO 2 season continued to Evergreen Speedway in Monroe, Washington. 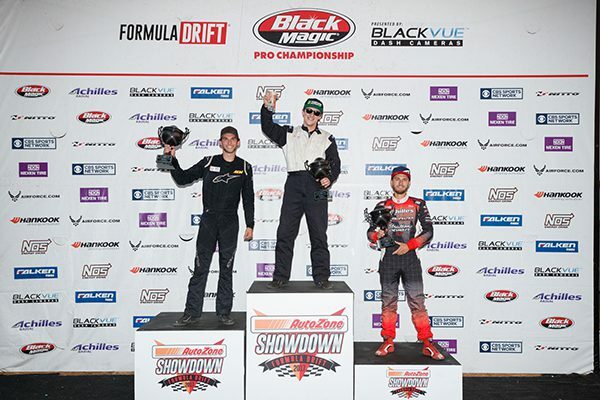 Local driver Matt Vankirk takes the win and moves to second place in the PRO 2 standings with one event remaining in the season. PRO 2 returned to Evergreen Speedway for the third event of four for the season. The young drivers took center stage for the Northwest fans. The semi-finals pitted Matt Vankirk in the Fortune Auto / Achilles Nissan 240 with number one qualifier, Dirk Stratton in the Lingenfelter Performance / Achilles Corvette. Vankirk outdrove his opponent to move into the Finals. On the other side of the bracket Josh Robinson faced Dylan Hughes in the DHR Dirtfish Nissan 240. Robinson had a few errors that gave Hughes the win. The finals was a tight battle and after a One More Time, Vankirk was able to edge out his opponent to get his first victory of the season and move within 20 points from the current leader, Travis Reeder. Formula DRIFT continues to Round 7: Showdown at Texas Motor Speedway on September 8-9, 2017. For more information visit, www.formulad.com and find Formula DRIFT on Instagram @formulad, Facebook www.facebook.com/formuladrift, Twitter @FormulaDrift, and Snapchat – formula_drift. Tune into Formula DRIFT on CBS Sports and check your local listings for airtimes.